I decided that I wanted to become an actor when I was thirteen. During my Middle School production of Meet Me in St. Louis that year, I learned about my own desire to be loved by someone through playing a young character with the same objective. When I acted my role, my heart felt as though it was going to beat out of my chest. I was used to my adrenaline rushing onstage, but it usually felt full of nerves. This time, it was full of new, overwhelming sensations of romantic yearning and excitement--sensations that totally characterized the physical and emotional changes that I was going through as a seventh grader. Releasing this adrenaline through performance gave me a new sense of freedom. Even though my character was quite different from me, I was energized by what she taught me about myself during that moment in my life. Although this moment still resonates loudly with me as a teacher and director, I see lost opportunities when I look back on it. Many of my fellow cast members had to be experiencing new sensations as they connected with their characters. Many of them had to have been feeling attraction for the first time as they danced and sang their hopes and desires to each other. What if we had found a time to talk about what we were feeling? What if our director had used our personalization of our characters as an entry point to conversations about relationships and puberty? What if he had encouraged parents to be part of these conversations through the context of the story that we performed? What if he had facilitated a way to share our reflections with audiences? Maybe we would have been able to add our personal narratives to the stale, stock articles and stereotypical stories distributed in Health classes. Maybe we would have discovered that our thoughts and feelings made us similar to each other rather than different. Maybe this notion would have strengthened our student community during our teenage time of angst and alienation. And maybe our sense of community would have extended to our parents, making questions about future changes a little less awkward. These maybes didn't happen for my thirteen-year-old cast. But, twenty years later, I’ve chosen to direct Thirteen in the hopes of making them happen for others. Excerpted from an article from ISTA's May 2016 Scene Magazine. Allyn Rathus is the Theater teacher and Visual and Performing Arts Curriculum Leader at Whitby School. 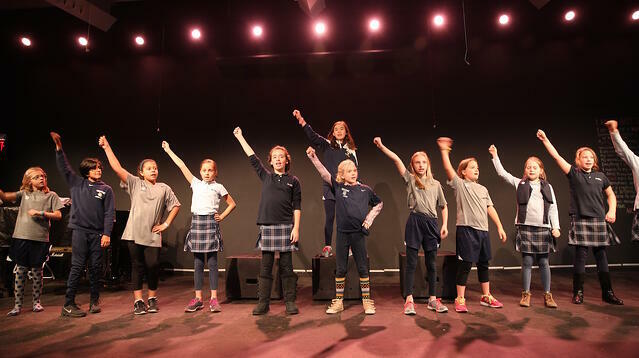 She instills leadership skills in her students through the lens of theater, paying particular attention to development of problem-solving skills, emotional intelligence, and empathy. 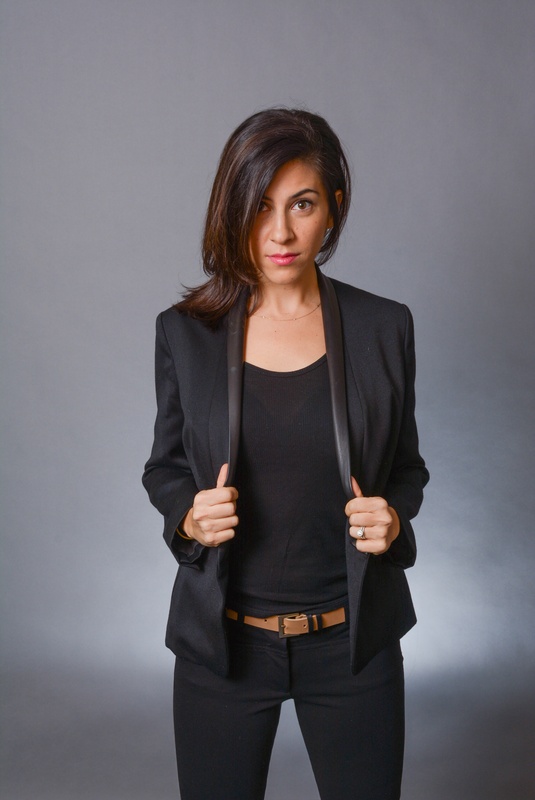 Allyn has written about the importance of provocative theater for ISTA’s Scene Magazine, and has practiced it with students in New York City, London, and Connecticut. She spends far too much time on politics, Netflix, puppies, dreaming of new travels, and searching for the best cup of coffee around.